Batman, currently being portrayed by the 6372nd actor to play the role (or so it seems) is known for his impressive gadgets and technology. 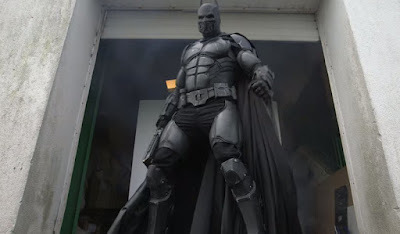 However, the props used in the films to create Batman's iconic suit are just that; props. 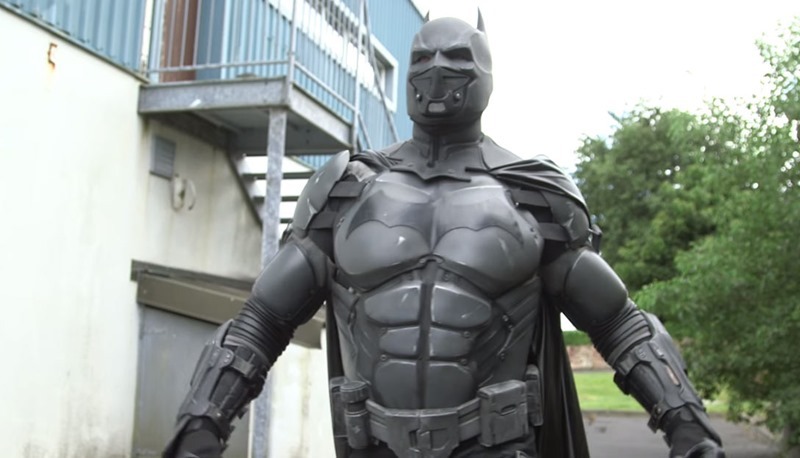 Enter Irish cosplay and special-effects expert Julian Checkley, who just went and made the best REAL Batsuit money can't buy... and he's broken a world record for his trouble. Right, we neeeeeed to be this guy's friends. That way he could make us all suits of our own and we'd go out to fight crime together. Around sleepy Galway. Where there are lots of tall buildings to swing... oh. Anyway, we can only hope that future batsuits made for the movies are designed after consulting with Julian. In fact, just get Julian to play Batman... he'd do a better job than Ben Affleck.